NEW YORK, NY and LONDON, UNITED KINGDOM--(Marketwired - June 24, 2015) - CD-adapco, the largest privately held CFD-focused provider of Computer Aided Engineering software, today announced the release of STAR-CCM+® v10.04, the second release in 2015 of its flagship simulation tool. The latest release represents a major step forward in the company's vision of allowing its customers to "discover better designs, faster" using Multidisciplinary Design exploration (MDX). The highlight of the v10.04 release is an entirely new Finite Element Based Solid Stress Solver, enabling Computational Solid Mechanics from within STAR-CCM+. This engineering breakthrough makes STAR-CCM+ the first tool on the market to offer both Computational Fluid Dynamics and Computational Solid Mechanics from a single and easy to use fully integrated environment. STAR-CCM+ offers the most efficient way of modeling Fluid Structure Interaction problems. "The introduction of Computational Solid Mechanics in STAR-CCM+ is a very important step in terms of the future direction of engineering simulation," said Jean-Claude Ercolanelli, Senior VP of Product Management, CD-adapco. "Engineers can now easily bridge the gap between the fluid and structure disciplines within one single user interface and environment. Previously, this was only possible using multiple tools and different skill sets across several teams. STAR-CCM+ users are now able to expand their applications scope and be effective immediately. The new Computational Solid Mechanics capability is using the same interface and does not require an additional license." STAR-CCM+ v10.04 continues the v10 theme of providing enhancements to make customers infinitely more competitive and effective in their marketplace through the pillars of technology, experience and productivity. For improved monitoring and control during a design exploration cycle, v10.04 delivers a brand-new tab in the Optimate™ interface, giving users the ability to get live updates of simulation progress during the design process. This feature helps save engineering time by offering instant feedback on how the design is progressing and enables troubleshooting if required. STAR-CCM+ v10.04 also adds enhancements to Custom Summary Reports, allowing the creation of well-formatted, customized summaries of specific objects within the simulation. This helps an engineer to quickly review simulation file content without opening the file and facilitates comparing results from different simulations. CD-adapco (www.cd-adapco.com) is the world's largest independent CFD-focused CAE provider. Our core products are the technology-leading simulation packages, STAR-CCM+® and STAR-CD®. 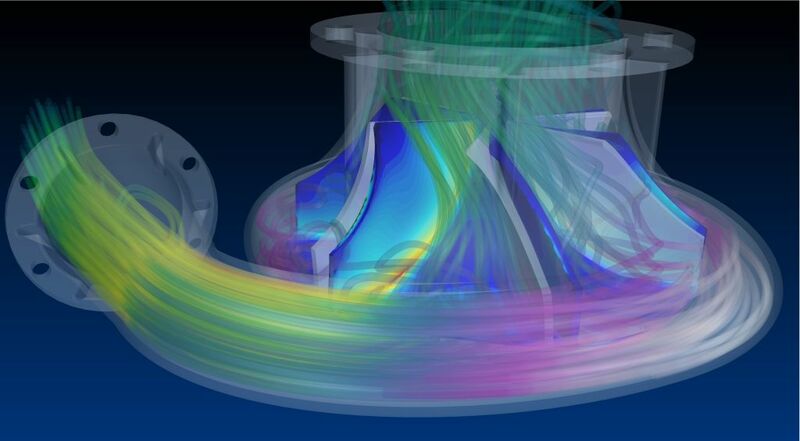 The scope of our activities, however, extends well beyond CFD software development to encompass a wide range of CAE engineering services in fluid dynamics, heat transfer and structural engineering. Our ongoing mission is to "inspire innovation and reduce costs through the application of engineering simulation software and services." A privately owned company, CD-adapco has maintained 15% organic year-on-year growth over the last 5 years. CD-adapco employs 900 talented individuals, working at 40 different offices across the globe. STAR-CCM+ v10.04 Computational Solid Mechanics has arrived!